Soft buttery caramels are dipped in creamy chocolate and topped with a little salt for the perfect treat. 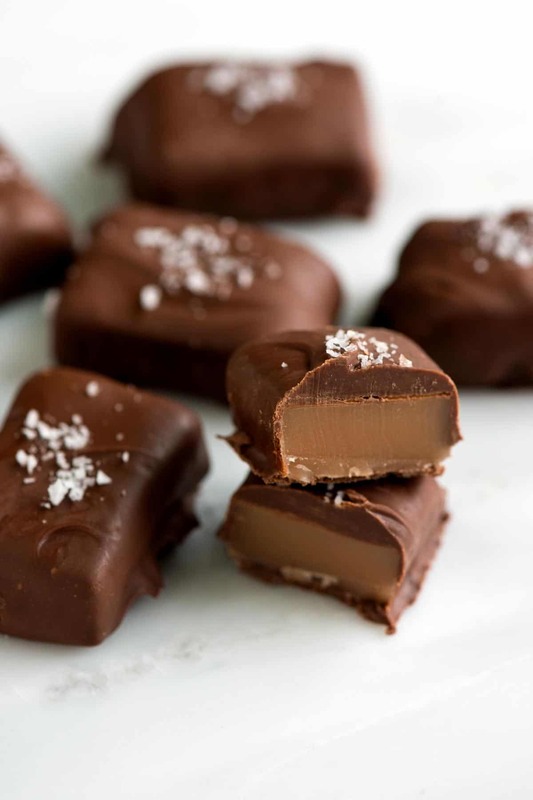 Jump to our Chocolate Covered Caramels Recipe or watch our video showing you how to make them. Our chocolate covered caramels recipe is easy-to-follow and has a recipe video to make things extra easy. YOU MAY ALSO LIKE: Our original recipe for Homemade Caramels. 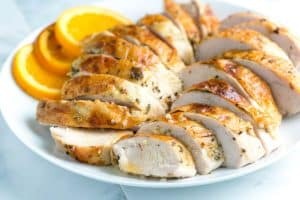 Grab the recipe and read through lots of tips. We share lessons learned in our own kitchen about making caramels best. These chocolate covered caramels are soft, chewy and perfectly melt away in your mouth. You probably have all the ingredients needed to make them in your kitchen right now. Before you begin making caramels at home make sure you you’ve read through the recipe a few times and have all the equipment ready and ingredients measured out. Candy making can go by quickly and if you’re not ready, things can go from good to bad fast. Don’t try this without a candy thermometer. The temperatures really do matter. Our recipe is a two-part process: First, we cook the sugar syrup (sugar, corn syrup, and water), and then we add a combination of cream and butter. Since this recipe has two stages, there are two temperatures to look out for: 320 degrees F in the first stage and 240 degrees F in the second stage. These two temperatures makes sure the caramels taste fantastic and remain soft and chewy. Whether you choose to dip the caramels in milk, dark, or white chocolate, it’s a good idea to use a good quality chocolate. A few brands we love using in our own kitchen are Ghirardelli, Callebaut, and Scharffen Berger. 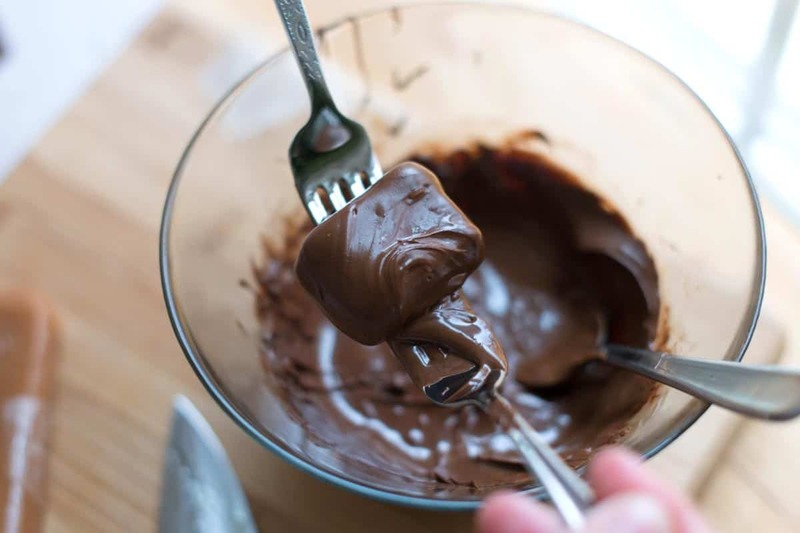 We melt the chocolate in the microwave, but you could just as easily use a double boiler. Then, we dunk each caramel into the chocolate — a messy, but delicious process! And finally, to make them really special, we add a sprinkle of sea salt on top. By the way, we have also used pink salt and smoked salt. Both were wonderful. 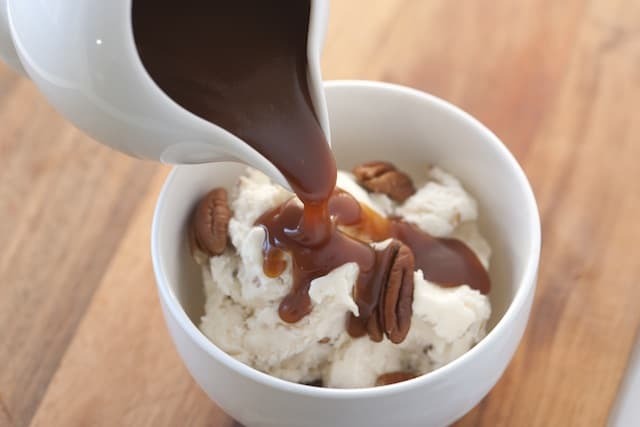 YOU MAY ALSO LIKE: Our Homemade Salted Caramel Sauce. All you need is a few ingredients, a saucepan, a candy thermometer, and about 30 minutes. No fancy expensive store-bought jars of sauce needed. Lightly oil a 9 x 5 inch loaf pan then measure and cut a piece of parchment paper that will fit inside the pan and come up the sides by at least 1 inch. Next, lightly oil the parchment paper and place into the pan. Set the pan aside. Cut butter into 8 pieces then combine with heavy cream in a small microwave-safe bowl. Heat in the microwave for 1 to 2 minutes until hot and butter has melted. Set aside, we will use this later. In a small saucepan combine the water and corn syrup. Then, add the sugar, but try your best not to splatter the sugar up the sides of the pan. Now, use a spoon to gently stir the sugar into the water and corn syrup, just moistening the sugar. Heat over medium heat until the sugar has come to a boil. Then, cover with a lid for 1 minute. This adds steam/moisture to the pan, so any sugar that may have stuck to the sides of the pan melts and falls back into the boiling sugar. Remove lid then attach a candy thermometer to the side of the saucepan. Then, cook sugar for 5 to 10 minutes, until the sugar reaches a temperature of 320 degrees F. At this temperature, the sugar will take on a light amber color around the edges of the pan. 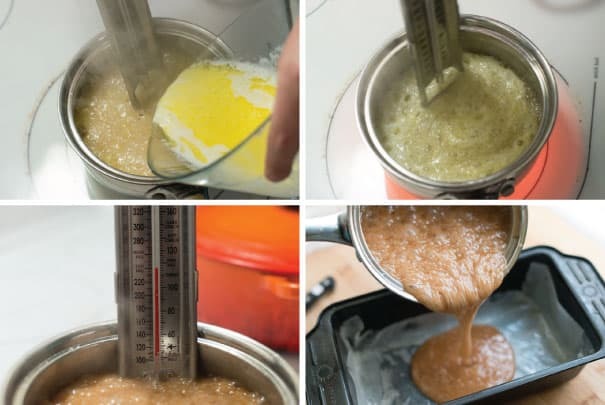 The moment the sugar reaches 320 degrees F, carefully pour about a sixth of the butter and cream mixture then stir, using the base of the candy thermometer to incorporate it. Repeat with the remaining cream and butter (adding a sixth of it at a time then stirring). 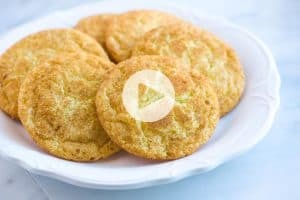 The sugar will bubble violently as you add the butter and cream – so do this carefully and slowly to prevent the mixture from bubbling over the sides of the saucepan. By adding the cream and butter, the temperature will drop. 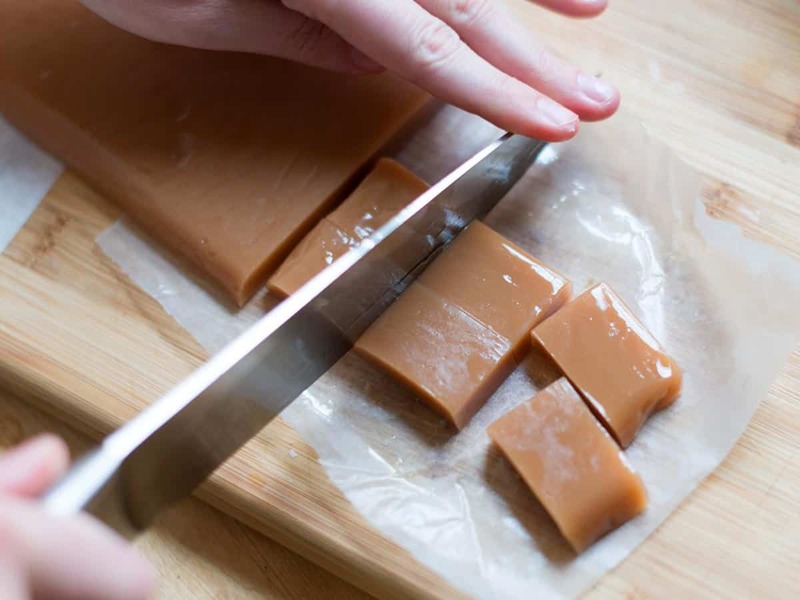 Now, continue cooking for another 5 to 10 minutes, until the caramel reaches a temperature of 240 degrees F. This will create a soft caramel, if you want slightly harder caramels, bring the temperature closer to 245 degrees F.
The moment the caramel reaches your desired temperature, pour into the prepared loaf pan. Cool 20 to 30 minutes then scatter the salt over the caramel. Then, let the caramel cool 3 1/2 hours. Unmold the caramel. If the caramel is too soft to work with, place into the refrigerator 30 to 45 minutes to firm up. Then, use a large sharp knife to cut into your desired shape. We like to cut into 1-inch by 1-inch squares. Line a baking sheet with parchment paper. Then, use a heavy knife to chop chocolate into small pieces. Separate about 1/3 cup of the chocolate and set aside then add the remaining chocolate to a microwave-safe bowl. 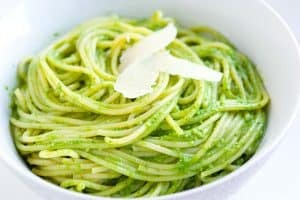 Add the butter then microwave for 30 to 45 seconds, stir then repeat until melted (stirring after every 30 to 45-seconds). 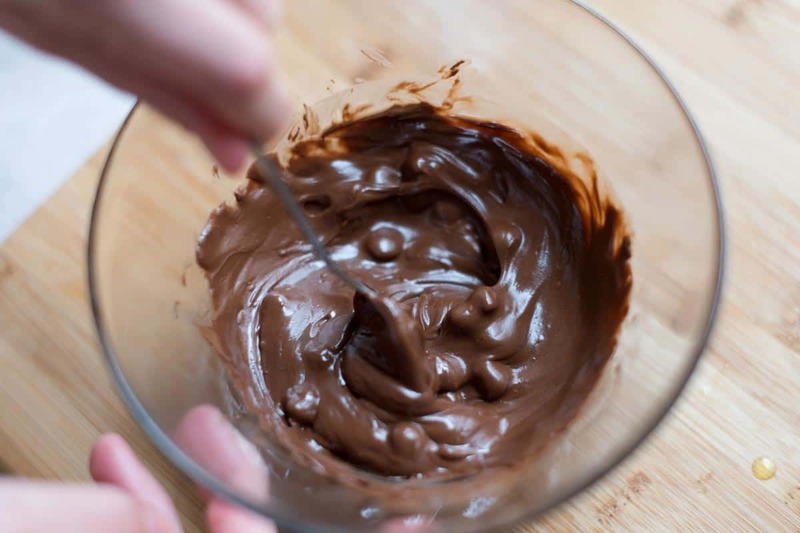 Once the chocolate has melted, add the 1/3 cup of chocolate and stir until smooth and shiny. Use two forks to dip each caramel into the melted chocolate then place onto parchment paper. Sprinkle a little salt on top of each caramel and allow chocolate to set. 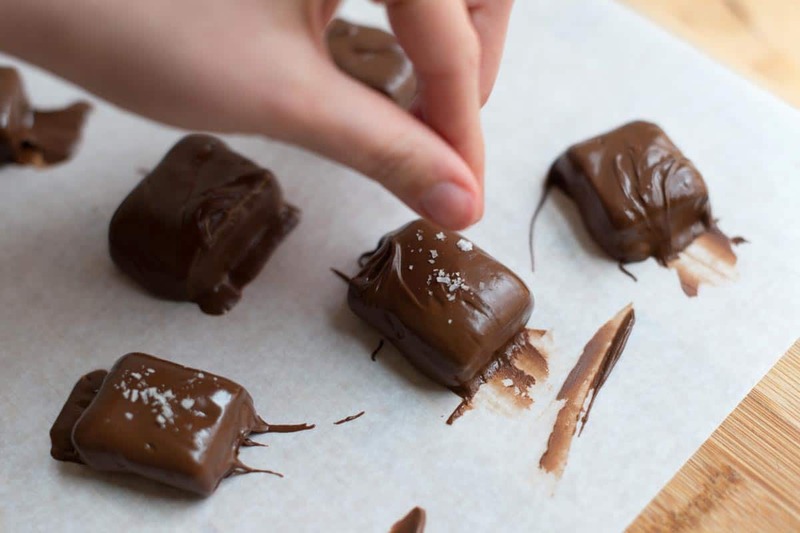 Wrap caramels in plastic wrap or waxed paper and enjoy immediately or refrigerate for enjoying later. Once coated, the chocolate coated caramels will keep 2 weeks in the refrigerator. 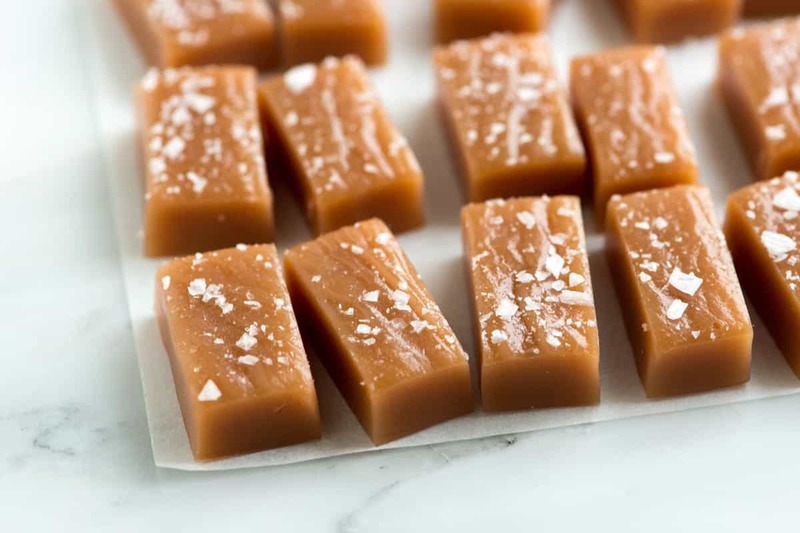 Softer caramels: This recipe makes soft and chewy caramels, for softer caramels, experiment with adding 2 to 4 more tablespoons of cream. Corn syrup substitutes: Corn syrup is reliable in this recipe, however, we have had success substituting pure honey and golden syrup.